Submission to FEMICOM Game Jam #1: Here's to Theresa Duncan! Totally Rexed is a short interactive story about the perils of pet ownership. It features an aggressive '90s color scheme and a highly realistic drawing of a dinosaur. 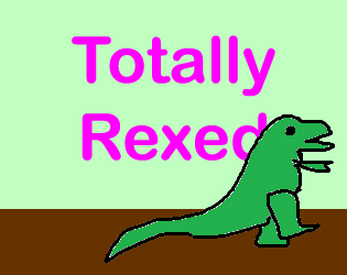 Totally Rexed was produced for FEMICOM Game Jam #1: Here's to Theresa Duncan.